Kids absolutely LOVE personalized 'things'. Books are a biggie for me too! The company i See Me! sent me a book to review for my son Boston's Birthday and he just LOVED it! 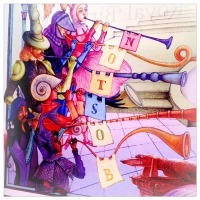 What I love about their books is not only the personalization but the illustrations. They are so fun and filled with such unique personalization that you can't find anywhere else in personalized children's books. When you read the book it's like they specifically made the book for the kid. I'm in love with that! They have tons of books with I See Me! Books for birthdays to becoming a Big Sister or Brother, you can get a special book for your special child. 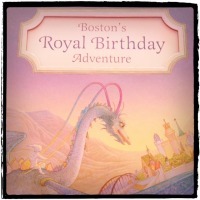 My Royal Birthday Adventure is a personalized storybook that turns your child into a royal birthday knight! This beautifully illustrated book takes the birthday boy on an adventure to a magical birthday kingdom where he is dubbed a royal knight! The storybook is personalized throughout the text and illustrations, including a 10-tier birthday cake, fireworks in the sky, a royal knight’s quarters, a birthday invitation and more! 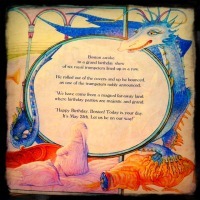 Written by award-winning author Jennifer Dewing and illustrated by Valerie Sokolova, each 10”x10” hardcover book is made in the USA especially for each birthday boy. Have that special birthday boy or girl? Get 15% by using the code ROYAL July 1 - July 31st 2012! Posted in Books, Boy, I See ME!